Have you heard that "screenshot or never happened" expression? Well, your PlayStation 4 can help you to be the master of YouTube, as well as screenshots, letting you record up to 60 minutes of gameplay! How, when, for what? That is up to you, we just have to teach you how to do it. In general, there are two easy and common ways to record gameplay on PS4. The following guide will show you what they are and how to get it done with those methods in details. One of the most common ways to record Playstation 4 gameplay is by using a HDMI cable and capture card. 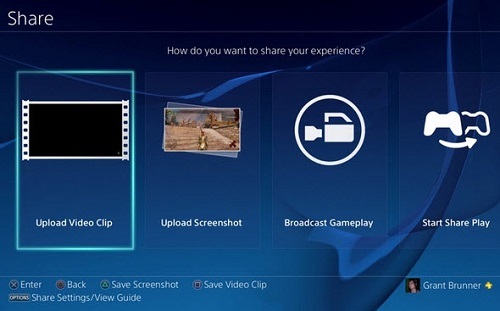 With this method, it requires you to project PS4 gameplay to a computer screen, thus you can use a computer video recording tool to record the screen as you want. In this case, you'll need a handy gameplay recorder for PC that can capture screen activities on your computer. Joyoshare Screen Recorder is such a well designed tool that helps you easily record any screen video or audio activity with high quality on Mac and Windows. Not only it will help you record your gameplay on your PS4 losslessly, but you can also record any kind of other videos and audios, including tutorials, streaming music, Skype calls, webinars, webcams, etc. The videos can be recorded and saved in any format such as MP4, MKV, AVI, FLV, and more. Once you have captured the games, you can manage the title, album and tags in the way you like. That means no more button tapping and sitting in front of the screen while it's capturing the whole process. Firstly connect your PS4 with Mac or Windows via HDMI cable and capture card. Make sure you already installed Joyoshare Video Capture on your PC. Then open it and select the recording area, choose recording format, set other preferences accordingly. 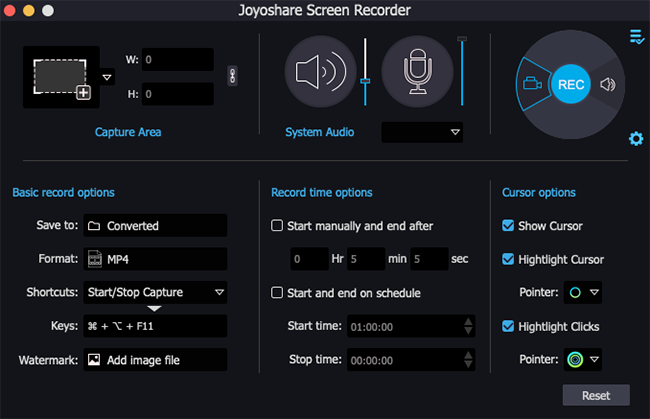 Tips: If you are not sure about how to set up the recordings in Joyoshare, you can simply visit this Joyoshare Screen recorder user guide. Now turn on your PlayStation 4, and you will see the PS4 screen projected on your computer monitor simultaneously. Enter the game playing interface on your PS4 and adjust the recording area of Joyoshare. Then click the Rec button on Joyoshare Screen Recorder and the recording will start after 3 seconds countdown. Note: To stop the recording, simply click the Stop button from the recording window. If you want to take a screenshot of the gameplay on PS4, you can click the "scissors" icon next to Stop. Or if you prefer to using shortcuts via keyboard, you can customize it before recording within Joyoshare settings. This way could be easier if you are not skillful to computer or technology. It doesn't require additional cable or capture card as PS4 supports built-in recording itself so that any one can capture the gameplay without hassle. Open PS4 so that you can adjust the settings of the Share menu of your PS4. We prefer the option "Easy screenshots" because, well, they are easy. Set it from Settings> Sharing and Transmissions> SHARE button control type. If you chose “Easy screenshots" by pressing the Share button, your PS4 will save a screenshot automatically. If you press twice, your PS4 will save 30 seconds or up to 60 minutes of gameplay. Now that you have made the basic settings, you are ready to record gameplays and screenshots. If you opted for "Easy screenshots" you can save a screenshot by pressing the Share button. Press twice to record a gameplay or press and hold to see this screen. From this menu you can upload your gameplay to YouTube or Facebook, start a transmission on Twitch or post your screenshot on Facebook or Twitter. More Tips: You may press Share button twice to start or stop a gameplay if it's a bit confusing, but it's actually quite simple if you understand it that way. Your PS4 records video continuously at intervals of 30 seconds, 1, 3, 5, 10, 15, 30 and up to 60 minutes. If your console is set to "Easy screenshots", pressing the Share button will "cut" the video at that moment. Press box and your PS4 will store the video. How much do you want to record? That depends on how you've set the intervals. By default your PS4 records the last 15 minutes of your gameplay. However, if your PS4 is set to "Standard" mode, pressing Share will save your gameplay according to the time interval you have selected. In case you have any other question about capturing Playstation 4 games, we are listing the most frequently asked questions as below. Can users copy a recorded gameplay video from the PS4 system to other devices, for example on a PC? PS4 users will not be able to directly copy gameplay videos recorded from their PS4 system to other devices, even if they will be able to use the Share button on the DUALSHOCK 4 controller to upload videos to Facebook to distribute them. This function will be supported by a future system update. Can users edit gameplay videos recorded on PS4? 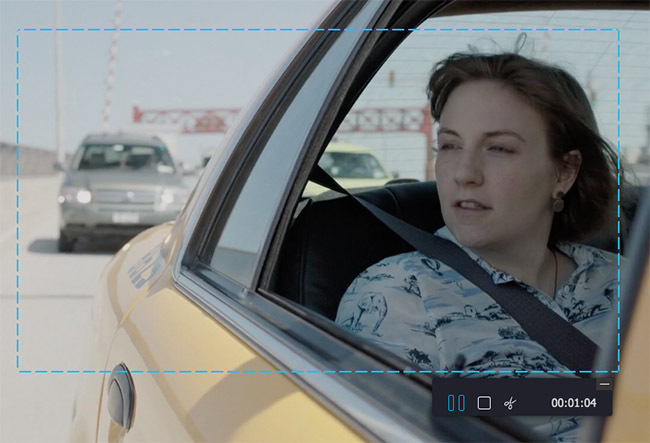 Yes, users can edit the video through the Share button interface. At the moment, users can specify a start and end point of the movie to edit it as they wish. 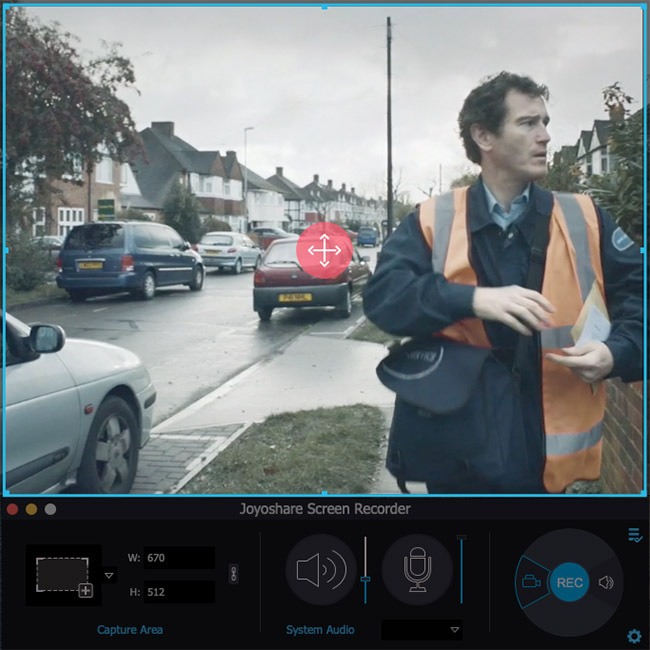 If you are using the Joyoshare screen recorder, you can easily specify the cursor as well as other screen portions while recording the video screen itself. You can also take screenshots along with capturing video. Will it be possible to save the recordings of the game sessions on PS4? Yes, it will be possible to keep the video recordings of the gaming sessions on the internal memory of the PS4 depending on the available free space. Yes, users can edit the video through the Share button interface. At the moment, users can specify a start and end point of the movie to edit it as they wish.